The Montana 680 is the slightly more affordable and less feature-packed brother of the Garmin Montana 680T, which means that it shines in some areas, but it might leave some hunters feeling disappointed in other respects. This product comes with a built-in 4GB memory and no preloaded maps, which is an issue right off the bat. 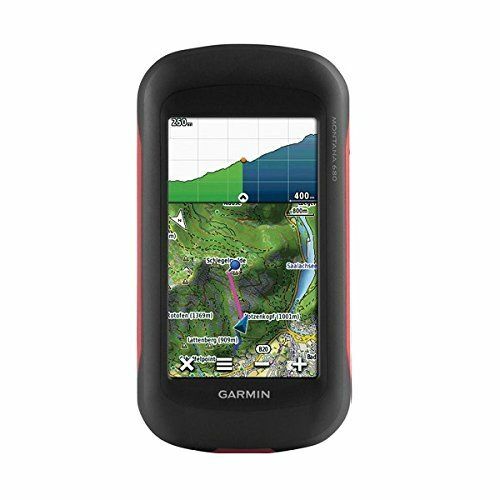 By comparison, the 680T comes with topographic maps preloaded, as well as an 8GB internal memory. 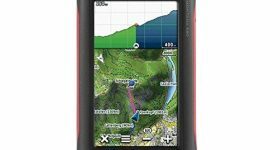 When it comes to ease of use, convenience, and performance, the 680 is definitely a winner as it is a powerful handheld navigator that boasts a fast receiver with excellent reception. The user-friendly interface is also something to write home about, and the fact that you can use it with two types of batteries is another pro. Let’s look at every feature and benefit step by step. One of the drawbacks of many navigators, and even some Garmin ones, too, is that they take too much time to load the information and display it on the screen for you to get your bearings through the field. Fortunately, this is not something you will have to deal with if you decide to go for this device. It comes with an electronic compass that doesn’t stick or lag, and it basically takes little to no time to load the info and redraw the map. Here’s where you find out that there’s a caveat to choosing the 680, despite its great performance and user-friendly interface. While it can still be considered a handheld navigator, this one is just too large to fit inside most pockets available on traditional hunting jackets. Due to its 10.3 oz weight, you might have to carry it in your backpack and only take it out when you need it the most. We would recommend using this particular navigator for day hunting trips instead of long excursions. An area where the Montana 680 really shines is its versatility. It comes with an 8-megapixel camera, so instead of typing the description of your waypoint, you can simply take a shot and that’s it. This feature undoubtedly comes in handy for large groups who enjoy sharing navigational information and waypoints. Although it is not primarily designed to be used with gloves, we found that many of those that have given it a try praise its display in this sense. You might have a bit of trouble typing if your gloves are particularly thick, but if they’re not, they’ll work even if they don’t come with a capacitive fingertip. As we have noted in some of the other sections, the best thing about this product is that it is, in itself a powerful receiver. That’s why the info takes little to no time to load up on the screen, so timewise, it is particularly effective and convenient. Thanks to its GLONASS support, Hotfix satellite prediction, and WAAS-enabled GPS receiver, this device can pinpoint your location and actually maintain your position. That definitely makes the difference between the Montana 680 and similar devices. The interface takes the cake when it comes to usability as it is one of the most user-friendly devices in this category. Sure, it’s more or less similar to that of other Garmin devices within this price range, but this one actually works faster. Furthermore, entering waypoints is extremely easy, as is switching the display’s orientation. The sizable display comes in handy when you have to type in the description of the waypoint, for example, although the overall dimension of this handheld navigator can be considered a disadvantage. For a beginner, this device can definitely provide to be a useful tool. If you haven’t used hunting GPS units before, you should consider trying this one out as you won’t find the learning curve to be too steep. This navigator takes the cake when it comes to reliability because it can be used with two types of batteries – a NiMH or Lithium one, but also 3 AA batteries. What that means is that you can use the Lithium battery until it runs out and then switch to AA batteries. Keeping a spare set in your backpack won’t add to the overall weight of the gear, after all, and you’ll be able to keep using the GPS. As for the battery life, the info we have come across suggests that this GPS can work for as many as 16 hours on the Lithium-Ion battery and 22 hours on the AA ones.